Posted on April 18, 2019 by José Gauthier. The Division of Pediatric Emergency Medicine, Department of Paediatrics, Schulich School of Medicine & Dentistry, Western University, and Department of Emergency Medicine, London Health Sciences Center, are seeking an Emergency Physician. The successful candidate will hold a full-time Limited Term Clinical Academic appointment at the rank of Assistant Professor or higher depending on experience and or current academic ranking. Candidates having completed or demonstrated a commitment to complete formal advanced training will be given priority. He/she will provide clinical, educational and scholarly activities in the Division of Paediatric Emergency Medicine at the Children’s Hospital, London Health Sciences Centre (LHSC). He/she will help develop academic activities and initiatives within the division and in support of the Department of Paediatrics, and the Division of Emergency Medicine (Western) and Department of Emergency Medicine (LHSC). He/she will actively contribute to the undergraduate and postgraduate education, and research programs of the Division. The successful applicant will also serve as a role model for our undergraduate medical students, paediatric residents and Paediatric Emergency Medicine Subspecialty Fellow/Residents. Candidates for this position must have an MD or equivalent degree and must be eligible for licensing in the Province of Ontario. Subspecialty certification in Paediatric Emergency Medicine from the Royal College of Physicians and Surgeons of Canada or equivalent is required. Compensation for this position will be commensurate with qualifications and experience and will be primarily composed of an alternative funding plan and academic salary. The anticipated start date for this position is July 2019. Applications will be accepted until the position is filled. Review of applications will begin on Monday, April 15, 2019 with an anticipated start date of July 2019 or as negotiated. Please ensure that the form http://uwo.ca/facultyrelations/physicians/Application_FullTime_Clinical.pdf is completed and included in your application. Posted on March 15, 2019 by José Gauthier. The Department of Pediatrics in the Faculty of Health Sciences at Queen’s University invites applications for a full time academic pediatric respirologist, who will also provide some coverage of the pediatric inpatient ward and pediatric critical care unit. The successful applicant must be eligible for or have certification in pediatric respirology from the Royal College of Physicians and Surgeons of Canada (RCPSC) and be eligible for licensure with the College of Physicians and Surgeons of Ontario. BC Children’s Hospital (BCCH) cares for the province’s most acutely ill or injured children and youth, provides developmental and rehabilitation services to children and youth throughout BC, and offers a broad range of health services. Sunny Hill Health Centre for Children (SHHC), a leading provincial facility offering specialized services to children and youth with developmental disabilities from birth to age 19, works collaboratively with BCCH. SHHC focuses on the child and their family while supporting health care professionals in their community. BCCH also provides a large number of specialized health programs, is a leading acute care teaching facility, and conducts research to advance health and care through the BC Children’s Hospital Research Institute (BCCHR) and in partnership with the University of British Columbia. The new Teck Acute Care Centre that recently opened is the heart of the BC Children’s Hospital and BC Women’s Hospital’s flagship for the transformation of child health in BC. The new Teck Acute Care Centre is an integral part of British Columbia’s health-care system, providing exceptional specialized care for the most seriously ill children and complex obstetrical patients in BC. Designed with patients, their families and care teams in mind, the redevelopment project’s vision is for a campus of patient-centered care that operates in an environment of quality, excellence and innovation. At approximately 640,000 square feet the Teck Acute Care Centre features 231 state of the art single- patient/family rooms with modern integrated technology and equipment to support the delivery of patient-centred care. The University of British Columbia (UBC) is Canada’s third largest university and consistently ranks among the 40 best universities in the world. With campuses in Vancouver and Kelowna, UBC is a research-intensive university and has an economic impact of $4 billion to the provincial economy. The UBC Faculty of Medicine also has academic campuses in Victoria and Prince George that enable an educational and research mandate that is truly distributed across the province. The University of British Columbia and BC Children’s Hospital are seeking a visionary Division Head to provide clinical and academic leadership of the Division of Pediatric Respirology. It is an exciting time for this division that is currently undergoing a significant transformation to enhance its clinical care and academic mandates to better serve the acute and chronic complex patient populations being cared for at the only children’s hospital in the province. There is a growing academic focus of excellence on Quality Improvement. The Division is currently comprised of 6 full time Pediatric Respirologists, 3 part time Pediatricians plus other health specialists in support of the various subspecialty clinics. Clinical services provided by the Division include: general respiratory clinics dealing with referrals from across the province. The Division also runs weekly multi-disciplinary clinics for cystic fibrosis, asthma, sleep medicine, non-CF bronchiectasis, aspiration and home ventilation. The home ventilation clinic has now grown to become one of the largest clinics of its kind in North America. Taken together, the outpatient clinics currently have over 3,000 patient visits annually with totals increasing every year. The Division also provides an in-patient consultation service and flexible bronchoscopy service. As the successful candidate for the Division Head position you will have demonstrated both a commitment to academic and clinical excellence in Pediatric Respirology over several years and the leadership and management skills that are necessary to ensure high quality clinical service and academic productivity. You will have an MD (or equivalent) and Royal College of Physicians and Surgeons of Canada or equivalent certification in pediatric respiratory medicine as well as be eligible for a specialist license, as determined by the College of Physicians and Surgeons of British Columbia. The successful candidate will be appointed as a Clinical Associate Professor or Clinical Professor in Pediatrics, commensurate with qualifications and experience as set forth by the guidelines for Pediatric Clinical Faculty Appointment at UBC Faculty of Medicine. Applications will be accepted until the position is filled. Preferred start is late 2019. BCCH and UBC hire on the basis of merit and are committed to employment equity. We encourage all qualified persons to apply; however, Canadians and permanent residents of Canada will be given priority. Posted on March 6, 2019 by José Gauthier. The Department of Paediatrics, Children's Hospital, London Health Sciences Centre and Western University, London, Ontario, Canada, is seeking a fully certified Paediatric Intensivist. The successful candidate will hold a full-time limited term appointment at the rank of Assistant or Associate Professor, or a full-time continuing appointment at the rank of Associate or Professor, depending upon experience and qualifications at the time of appointment. Candidates must hold an MD or equivalent and be eligible for licensing in the Province of Ontario. Specialist certification in Paediatrics through the Royal College of Physicians and Surgeons of Canada or equivalent is required. Board certification in Paediatric Critical Care is required for those who entered paediatric critical care training after 2006. Experience in research and established track records of publications would be an asset. Commitment and demonstrated aptitude for teaching is desirable and the candidate is expected to promote and contribute to excellence in undergraduate, postgraduate and continuing medical education programs. Children's Hospital is the only tertiary care center between Toronto and Winnipeg, serving a population of approximately 500,000 children. The Paediatric Critical Care is 12 bed tertiary care unit with an annual admission of over 700 patients. Paediatric Critical care offers Royal College approved fellowship training program in paediatric critical care medicine. In addition, Children's Hospital has 64 general paediatric beds, 42 neonatal beds and a very active emergency department. The Department of Paediatrics in London has over 100 faculty members, 40 trainees, and provides a full array of Paediatric sub-specialty services. The department has 6 basic scientists as core members and numerous opportunities exist for clinical, epidemiological, translational, and basic science research. London has a metropolitan census of 530,000 people with the amenities of a big city but friendliness of a small town. London is located in the heart of the great lakes region, 2 hours from both Toronto and Detroit. Western University is a research-intensive institution with a wide range of academic and professional programs (see http://www.uwo.ca and www.ledc.com/why-london to learn more). Western's Recruitment and Retention Office is available to assist in the transition of successful applicants and their families. Successful candidates will have a keen interest in academic medicine and the ability to collaborate effectively with all other members of the health care team and office staff, and a commitment to active participation in team-based health care and teaching, both at the undergraduate and postgraduate levels. Compensation for this position will be commensurate with qualifications and experience, and will be primarily composed of an alternative funding plan and academic salary. Applications will be accepted until the position is filled. Review of applications will begin after January 8, 2019. Please ensure that the form http://uwo.ca/facultyrelations/physicians/Application_FullTime_Clinical.pdf is included in your application. The anticipated start date for this position is May 1, 2019, although an alternate start date may be negotiated. Posted on December 17, 2018 by José Gauthier. Disseminate research findings through peer-reviewed publications, reports, public outreach, and other knowledge translation and exchange activities. Posted on November 20, 2018 by José Gauthier. The Department of Paediatrics, Children’s Hospital, London Health Sciences Centre, and Schulich School of Medicine & Dentistry, Western University, is seeking a fully certified Paediatric Infectious Diseases (ID) Specialist with an interest in any of infection control, antimicrobial stewardship, immunology or congential infections. The ID program has a comprehensive array of services encompassing the full spectrum of paediatric infectious diseases, infection control, and a clinical research program. The Department of Paediatrics provides comprehensive acute care, ambulatory and in-patient services for children to a population of 2 million in Southwestern Ontario. Children with a full range of care issues are managed in our Paediatric Emergency Department, Paediatric Critical Care Unit, Neonatology Unit and in-patient Clinical Teaching Units. The Department has a number of research initiatives for children ranging in age from pre-term neonates to adolescents. The Department is very active in undergraduate, postgraduate and continuing medical education; and has a Royal College accredited program in Paediatrics as well as a number of fellowship programs. Candidates for this position must have an MD or equivalent degree and must be eligible for licensing in the Province of Ontario, and an FRCPC in Paediatrics or equivalent. Subspecialty certification in Infectious Diseases from the Royal College of Physicians and Surgeons of Canada or equivalent is required. The successful candidate will be a Clinician Teacher, and hold a full-time Limited Term Clinical Academic appointment at the rank of Assistant Professor or Associate Professor, or a Continuing Clinical Academic appointment at the rank of Associate Professor or Professor, depending upon qualifications and experience at the time of appointment. Successful candidates will have demonstrated a strong interest in infection control, antimicrobial stewardship, immunology or congential infections, and the ability to collaborate effectively with a wide range of members of the research and health care team and office staff. The successful candidate will also be expected to contribute to teaching, both at the undergraduate and postgraduate level. Applications will be accepted until the position is filled. Review of applications will begin on October 14, 2018. Please ensure that the form http://uwo.ca/facultyrelations/physicians/Application_FullTime_Clinical.pdf is included in your application. Posted on September 17, 2018 by José Gauthier. The Department of Pediatrics and Child Health, Max Rady College of Medince, Rady Faculty of Health Sciences, University of Manitoba and the Child Health Program, Winnipeg Regional Health Authority, seeking to recruit a Section Head for Pediatric Emergency Medicine at the University of Manitoba and the Children’s Emergency at the HSC Children’s Hospital in Winnipeg, Manitoba. The Department of Pediatrics and Child Health is comprised of more than 95 geographical full-time physicians representing all Pediatric Subspecialties, as well as with 6 full time PhD Scientists and many more primary affiliated Faculty Members. Pediatric Emergency Section has 21 Members and an active and accredited RCPS program in PEM. Pediatric Emergency has a very active research program with significant funding and research, including the CIHR Innovative Pediatric Clinical Trial program and a national Knowledge Mobilization Program: TRanslating Emergency Knowledge for Kids (TREKK). The Department of Pediatrics and Child Health Program are collaborating to recruit a leader and expert to the Section of Pediatric Emergency Medicine. The available position is a leadership position for the Section, including a clinical component and a University appointment at a rank and salary commensurate with experience and qualifications. Physicians may be eligible for a recruitment incentive. Please contact physicianrecruitment@wrha.mb.ca for further information. Applicants must be certified in Pediatrics and certified in, or eligible for certification in Pediatric Emergency Medicine by the Royal College of Physicians and Surgeons of Canada. Candidates must be eligible for registration with the College of Physicians and Surgeons of Manitoba. The ideal candidate possesses a strong affinity and track record in leadership, education and research. The University of Manitoba and Winnipeg Regional Health Authority are strongly committed to equity and diversity within its community and especially welcomes applications from women, racialized persons/persons of colour, Indigenous peoples, persons with disabilities, persons of all sexual orientations and genders, and others who may contribute to the further diversification of ideas. All qualified candidates are encouraged to apply; however, Canadian citizens and permanent residents will be given priority. Application materials will be handled in accordance with the protection of privacy provision of "The Freedom of Information and Protection of Privacy" (Manitoba). Please note that curriculum vitae may be provided to participating members of the search process. Applications will be accepted until June 30, 2018 or until the position has been filled. Interested candidates should submit the following materials: 1) a letter of application, 2) outline professional and leadership interests; 3) curriculum vitae; and 4) names and contact information of three referees. Posted on September 11, 2018 by José Gauthier. Posted on September 7, 2018 by José Gauthier. The Department of Paediatrics, Children's Hospital, London Health Sciences Centre and Schulich School of Medicine & Dentistry, Western University, is seeking two fully certified Specialists in Adolescent Medicine. The Department of Paediatrics is developing a new Division of Adolescent Medicine with a multi-year plan for continuing recruitment. The Division of Adolescent Medicine will serve the southwestern Ontario population of about 2 million, and work closely with the Division of Child and Adolescent Psychiatry, Department of Psychiatry and with the Department of Family Medicine. Candidates for these positions must have an MD or equivalent degree and must be eligible for licensing in the Province of Ontario, and an FRCPC in Paediatrics or equivalent. Subspecialty certification in Adolescent Medicine from the Royal College of Physicians and Surgeons of Canada or equivalent is required. The successful candidates will be Clinician Teachers, and hold full-time Limited Term Clinical Academic appointments at the rank of Assistant Professor or Associate Professor, or Continuing Clinical Academic appointments at the rank of Associate Professor or Professor, depending upon qualifications and experience at the time of appointment. The successful candidates will have a keen interest in adolescent medicine, the ability to collaborate effectively with all other members of the health care team and office staff, and will be expected to participate in team-based health care and teaching, both at the undergraduate and postgraduate levels as well as in Continuing Professional Development. Compensation for these positions will be primarily composed of an alternative funding plan and academic salary. The anticipated start date for these positions is January 1, 2019, although an alternate start date may be negotiated. Applications will be accepted until the positions are filled. Review of applications will begin on September 14, 2018. Please ensure that the form http://uwo.ca/facultyrelations/physicians/Application_FullTime_Clinical.pdf is included in your application. Posted on August 20, 2018 by José Gauthier. The Department of Paediatrics, Children's Hospital, London Health Sciences Centre and Schulich School of Medicine & Dentistry, Western University, is seeking a physician with interest and expertise in the provision of care to At Risk/Underserved Populations to provide leadership in clinical service and education to trainees in the provision of child health care to At Risk/Underserved Populations, and education in Social Paediatrics. This is a new role, and the successful candidate will develop the clinical service with a goal of serving new immigrant, indigenous, and underserved youth populations, primarily on an outpatient basis with community partners. The successful candidate will be joining the Division of General Academic Pediatrics. Interest and ability in advocating at a local, provincial or national level for services, and improving the social determinants of health at a policy level are an asset. The Department of Paediatrics provides comprehensive acute care, ambulatory and in-patient services for children to a population of 2 million in southwestern Ontario. Our catchment area includes a number of populations marginalized from health care including new Canadians, First Nations Canadians and unique cultural and ethnic groups who have not been able to achieve maximum benefit from child health care services. Children with a full range of care issues are managed in our Paediatric Emergency Department, Paediatric Critical Care Unit, Neonatology Unit and in-patient Clinical Teaching Units. The Department has a number of research initiatives for children ranging in age from pre-term neonates to adolescents. The Department is very active in undergraduate, postgraduate and continuing medical education; and has a Royal College accredited program in Paediatrics as well as a number of fellowship programs. Western University delivers an academic experience second to none. Western challenges the best and brightest faculty, staff and students to commit to the highest global standards. Our research excellence expands knowledge and drives discovery with realworld application. Western attracts individuals with a broad worldview, seeking to study, influence and lead in the international community. Since 1878, The Western Experience has combined academic excellence with life-long opportunities for intellectual, social and cultural growth in order to better serve our communities. Western is a research-intensive institution with a wide range of academic and professional programs (see http://www.uwo.ca/ to learn more). Western’s Recruitment and Retention Office is available to assist in the transition of successful applicants and their families. Candidates for this position must have an MD or equivalent degree and must be eligible for licensing in the Province of Ontario, and an FRCPC in Paediatrics or equivalent. Experience and interest in the care of At Risk/Underserved Populations is required. The successful candidate will be a Clinician Teacher, and hold a full-time Limited Term Clinical Academic appointment at the rank of Assistant Professor or Associate Professor, or a Continuing Clinical Academic appointment at the rank of Associate Professor or Professor, depending upon qualifications and experience at the time of appointment. Successful candidates will have a keen interest and expertise in working with At Risk/Underserved Populations and education, the ability to collaborate effectively with a wide range of members of the health care, educational and research teams and office staff, and will be expected to lead in education both locally and regionally. The Department of Paediatrics, Children's Hospital, London Health Sciences Centre and Schulich School of Medicine & Dentistry, Western University, is seeking a physician with expertise in Child Protection to provide leadership in clinical service and education in Child Protection in the Department of Paediatrics and the Children’s Hospital. The Department of Paediatrics provides comprehensive acute care, ambulatory and in-patient services for children to a population of 2 million in southwestern Ontario. Children with a full range of care issues are managed in our Paediatric Emergency Department, Paediatric Critical Care Unit, Neonatology Unit and in-patient Clinical Teaching Units. The Department has a number of research initiatives for children ranging in age from pre-term neonates to adolescents. The Department is very active in undergraduate, postgraduate and continuing medical education; and has a Royal College accredited program in Paediatrics as well as a number of fellowship programs. Candidates for this position must have an MD or equivalent degree and must be eligible for licensing in the Province of Ontario and an FRCPC in Pediatrics or equivalent. Advanced training and/or experience in Child Protection is required. The successful candidate will be a Clinician Teacher, and hold a full-time Limited Term Clinical Academic appointment at the rank of Assistant Professor or Associate Professor, or a Continuing Clinical Academic appointment at the rank of Associate Professor or Professor, depending upon qualifications and experience at the time of appointment. Successful candidates will have a keen interest and expertise in Child Protection, advocacy and education, the ability to collaborate effectively with a wide range of members of the health care, educational and research teams and office staff, and will be expected to lead in education both locally and regionally. The Children’s Hospital of Eastern Ontario (CHEO) and the University of Ottawa (uOttawa) are pediatric health and research centres that aim to provide outstanding family-centered patient care, pioneering breakthrough research, and excellence in training the health care professionals of tomorrow. The Department of Pediatrics is a dynamic department serving a large geographical area with a population base of 1.8 million. In addition, with the proximity to Quebec and the availability of bilingual services, children from Western Quebec are referred and treated at CHEO. We are seeking a senior clinician-scientist with a specific expertise in pediatric and adult mitochondrial disorders to establish both a clinical practice and a “wet” laboratory research program. This position will be housed between the Department of Pediatrics, CHEO, CHEO RI and the Faculty of Medicine, uOttawa. The appropriate candidate must have extensive experience (>15 years) in the acquisition of funding and in peer-reviewed publication, and will be eligible for an academic appointment at the rank of Full Professor. This is a permanent Full-Time Academic position. Extensive support will be provided for the establishment of the laboratory-based research program. The candidate must possess an MD and PhD degrees and will be Royal College of Physician and Surgeons certified or equivalent. Fluency in both English and French would be an advantage. Canadian citizens and permanent residents of Canada will be given priority. CHEO and the uOttawa are both committed to Employment Equity and welcome applications from all suitably qualified individuals, including aboriginal people, visible minorities and persons with disabilities. This position is funded via an alternate funding program (AFP) and also supported by a Canadian Research Chair – CRC Tier 1. Remuneration will be in the range of $300,000 - $325,000 CDN, annually. Applications will be accepted until a suitable candidate has been found. Posted on January 10, 2018 by Grace Scorrar. The Department of Pediatrics in the Faculty of Health Sciences at Queen’s University invites applications for a full time academic neonatologist. The successful applicant, who must be Royal College certified and eligible for licensure in Ontario, will share daytime, and on-call night and weekend coverage of the Neonatal Intensive Care Unit at the Kingston General Hospital site of Kingston Health Sciences Centre with three other neonatologists. As a full-time member of the Department of Pediatrics, the successful applicant must demonstrate a strong aptitude for teaching at both the undergraduate and postgraduate levels. Preference will be given to applicants with demonstrated evidence of a history of high quality research or with a strong emerging research focus and the potential for developing an independent research program. Applicants should also provide evidence of an ability to work in an interdisciplinary, collaborative environment. Posted on December 11, 2017 by Grace Scorrar. The Department of Paediatrics, Children's Hospital, London Health Sciences Centre and Schulich School of Medicine & Dentistry, Western University, is seeking a fully certified Specialist in Adolescent Medicine. The Department of Paediatrics is developing a new Division of Adolescent Medicine with a multi-year plan for continuing recruitment. The Division of Adolescent Medicine will serve the southwestern Ontario population of about 1.5 million, and work closely with the Division of Child and Adolescent Psychiatry, Department of Psychiatry and with the Department of Family Medicine. Candidates for this position must have an MD or equivalent degree and must be eligible for licensing in the Province of Ontario. Subspecialty certification in Adolescent Medicine from the Royal College of Physicians and Surgeons of Canada or equivalent is required. The successful candidate will be a Clinician Teacher, and hold a full-time Limited Term Clinical Academic appointment at the rank of Assistant Professor or Associate Professor, or a Continuing Clinical Academic appointment at the rank of Associate Professor or Professor, depending upon qualifications and experience at the time of appointment. The successful candidate will have a keen interest in academic medicine, the ability to collaborate effectively with all other members of the health care team and office staff, and will be expected to participate in team-based health care and teaching, both at the undergraduate and postgraduate levels. Applications will be accepted until the position is filled. Review of applications will begin on December 15, 2017. Please ensure that the form http://uwo.ca/facultyrelations/physicians/Application_FullTime_Clinical.pdf is included in your application. In accordance with Canadian Immigration requirements, priority will be given to Canadian citizens and permanent residents. Accommodations are available for applicants with disabilities throughout the recruitment process. If you require accommodations for interviews or other meetings, please contact Jill O’Dowda at jodowda@uwo.ca or 519-685-8129. Posted on November 15, 2017 by Grace Scorrar. 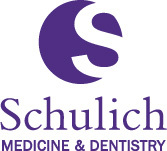 The Division of Pediatric Neurology, Department of Paediatrics, Schulich School of Medicine & Dentistry, Western University, is seeking a Pediatric Neurologist. The successful candidate will hold a full-time Limited Term or Continuing Clinical Academic appointment at the rank of Assistant Professor or higher depending on experience and/or current academic ranking. Candidates having completed or demonstrated a commitment to complete formal advanced training will be given priority. He/she will provide clinical, educational and scholarly activities in the Division of Paediatric Neurology at the Children’s Hospital, London Health Sciences Centre (LHSC). He/she will help develop academic activities and initiatives within the division and in support of the Department of Paediatrics, and the Division of Paediatric Neurology. He/she will actively contribute to the undergraduate and postgraduate education, and research programs of the Division. The successful applicant will also serve as a role model for our undergraduate medical students, paediatric residents and Paediatric Neurology Subspecialty Fellow/Residents. The Paediatric Neurology service is a designated provincial epilepsy surgical centre of excellence. The Division is an active consultative child neurology consult service for outpatients through multiple multidisciplinary clinics and for inpatients of the Children’s Hospital, which is a tertiary centre for Southwestern Ontario and serves a population of over 1.8 million. (http://www.lhsc.on.ca/Patients_Families_Visitors/Childrens_Hospital/Programs_and_services). For more information on the Division of Paediatric Neurology, please visit http://www.schulich.uwo.ca/paediatrics/divisions/neurology.html and on London, Ontario, please visit http://www.goodmovelondon.com. Candidates for this position must have an MD or equivalent degree and must be eligible for licensing in the Province of Ontario. Subspecialty certification in Paediatric Neurology from the Royal College of Physicians and Surgeons of Canada or equivalent is required. Compensation for this position will be commensurate with qualifications and experience and will be primarily composed of an alternative funding plan and academic salary. The anticipated start date for this position is July 1, 2018. Applications will be accepted until the position is filled. Review of applications will begin on December 15, 2017 with an anticipated start date of July 1, 2018 or as negotiated. Please ensure that the form http://uwo.ca/facultyrelations/physicians/Application_FullTime_Clinical.pdf is completed and included in your application.